← Where is the Money? I wrote earlier about the fastest supercomputer in the world today – the Chinese Sunway TaihuLight (93 petaflop/s on the LINPACK benchmark). I also wrote about Japan’s plans to release an even-faster supercomputer from Fujitsu called ABCI (130 petaflops). Now, the US is striking back at their competitors with a plan to release several pre-exascale supercomputers in late 2017/early 2018 that will become the fastest in the world (Exascale starts at a thousand petaflops level). The U.S. Dept of Energy’s Oak Ridge National Lab is expecting (late 2017 /early 2018) an IBM system named Summit, capable of close to 150 petaflops [link, link]. 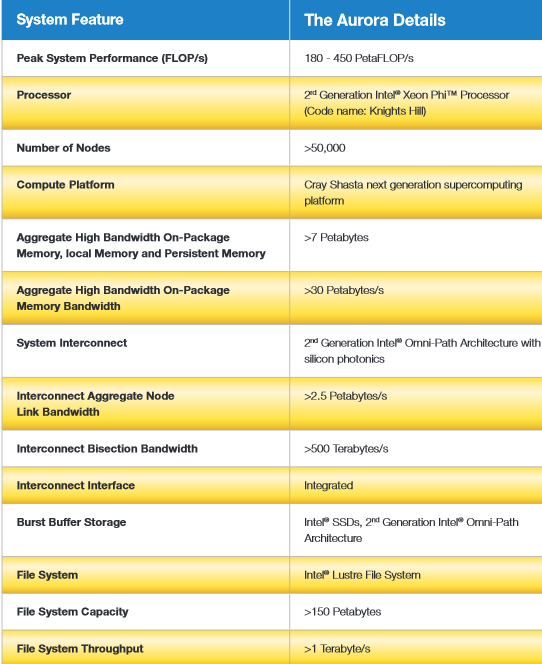 Summit architectures looks like a giant cluster of systems that might be used for training neural networks. The Summit system and its equal companion “Sierra,” that will be deployed at Lawrence Livermore National Laboratory, were referred to as “AI supercomputers.” Both computers are based on a mix of Power9 processors from IBM and Tesla “Volta” GV100 GPU accelerators. 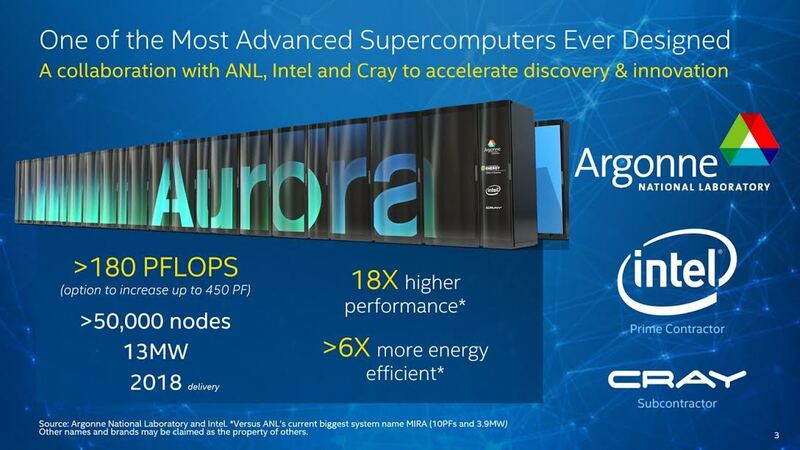 Another massive new supercomputer named Aurora will run with an amazing 180-petaflops, which will roughly double the performance of its Chinese rival. The $200M contract has been given to Intel and Cray, who will build this supercomputer in 2018, at the Argonne National Laboratory in Lemont, Ill. This computer has an option of increasing performance to 450 petaflops. The race for computational speed is just starting. Who will be the first to reach 1,000 petaflops? This entry was posted in Amazing technology, data, and people, Computers, Datacenters and data centers, Money, business, investments, statistics, trends, Past, present, and future and tagged cray new supercomputer, cray supercomputer 2018, exascale computing, ibm supercomputer 2018, new supercomputer, supercomputer 2018. Bookmark the permalink.